The Cairo Historical Society has partnered with Tracing your Roots in Greene County, who will be hosting their web pages. For membership information, meeting dates and project highlights click here. 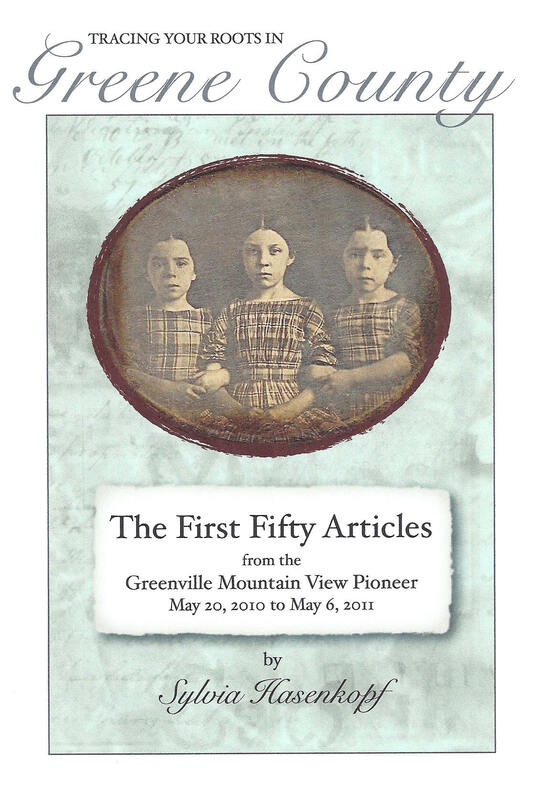 These are the first 50 articles that Sylvia Hasenkopf wrote for Greenville Mountain View Pioneer. she draws upon her vast experience as a researcher in Greene County to bring the people, places and events to life. All in one place. Books are $20.00 plus $3.00 shipping. For a list of the articles in the book and ordering instructions click here. Local pick up available. 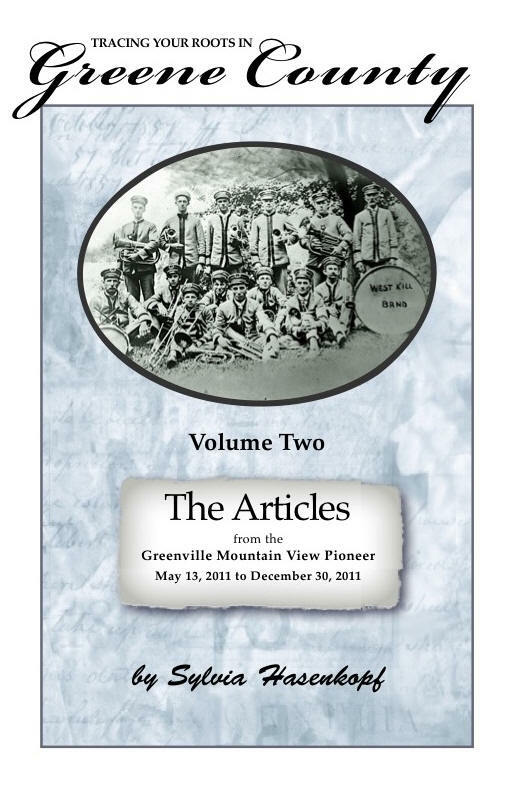 These are the next series of articles that Sylvia Hasenkopf wrote for Greenville Mountain View Pioneer from May 2011 to December 2011. Books are $20.00 plus $3.00 shipping. For a list of the articles in the book and ordering instructions click here. Local pick up available. The Cairo Historical Society is proud to announce the publication of a new book about one of Cairo's Civil War soldiers. Entitled May God in His Mercy Spare our Lives, the Civil War Letters and Diary of Eseck G. Wilber, 120th NYV, this book captures the Civil War exploits of Eseck G. Wilber, who was just 21 when he volunteered for the Union Army in August of 1862. He was full of youthful arrogance and pride which slowly eroded as disease, hunger and death surrounded him. Eseck was at the battles of Fredericksburg, Chancellorsville and Gettysburg before he was captured by the Rebels at James City, Va and sent to Libby Prison. Moved to Pemberton, then Belle Isle and finally Andersonville, GA, Eseck saw first hand the deprivations of his fellow soldiers. 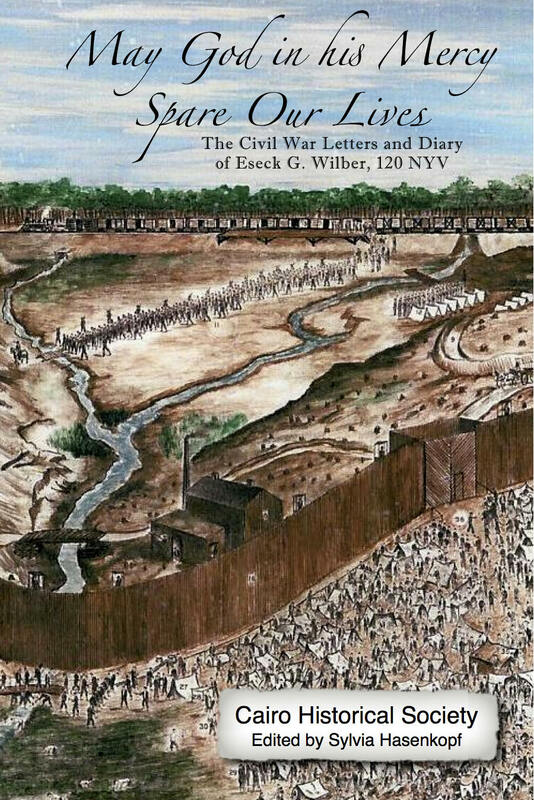 Eseck's 80 letters and his diary tell the tale of his military exploits and his incarceration by the South. Edited by Sylvia Hasenkopf for the Cairo Historical Society. Need wills, probate packets, deeds, mortgages or general research for Greene County, surrounding counties and the entire Hudson Valley? This site contains information of interest to the family researcher in Greene County, New York. Posted material should be validated against other sources of information.